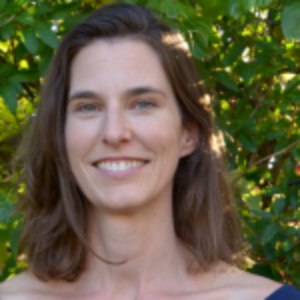 Ms. Sweeney’s career began as an environmental engineer. She transitioned quickly to nonprofit leadership on issues near to her heart in environment and education. After 15 years in corporate and nonprofit careers, Ms. Sweeney chose to exit the workforce when she became a mother. While she continued to work as a passionate volunteer, partner, and mother – she also decided to go to psychic school to develop her intuition and spiritual freedom. These classes and professional certification with the Inner Connection Institute, created an opportunity for Ali to foster her psychic abilities and weave a life of contentment. She currently provides clairvoyant readings and energy healings through her business – A Light Insight, teaches meditation at The Lotus Meditation Studio, encourages spiritual freedom as a licensed minister with the Church of Infinite Spirit, and finds joy and love being a dedicated partner and mother. Her days are filled with all aspects of personal growth – whether it is someone trying meditation for the first time, others seeking clarity about the choices and energy in their life, corporate clients seeking balance in their workplace, or her daughter trying to tie her shoe. Through all of these aspects of her life, Ali works to share her unique light so that those around her may shine brighter as well. To teach meditation to people who are so busy they forget they are experiencing life. I often volunteer to help in my children’s public school. I love seeing the wonder of a child learning new things, and am inspired by teachers who truly want each of these children to be their best. Feeling lost or confused? Try a grounding cord – an imaginary connection with the center of the earth. To try it, close your eyes and take a deep breath. Imagine a tunnel of light coming from the base of your spine (if you had a tail, right where a tail would be), extending through your chair, the floor, the layers of the earth, and finally let it connect at the very center of the earth. This connection from the base of your spine to the center of the earth serves as a giant trash chute for any energy you don’t need to be carrying, i.e. stress, worry, fear, etc. Breathe and let the earth support you. 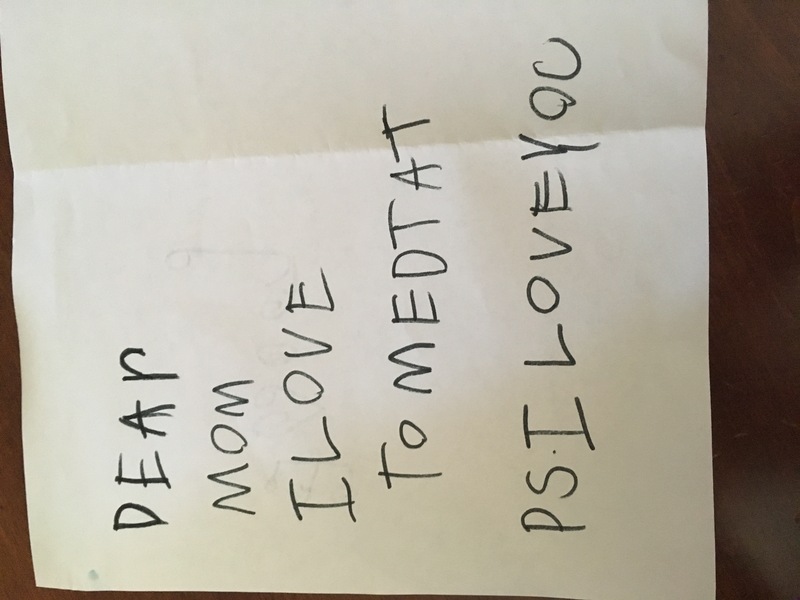 The translation of this kindergarten writing piece is “Dear Mom, I love to meditate. P.S. I love you.” This picture says to me that ‘going within’ is a natural place to be. Being love and being surrounded by love are genuine human states of being. The weather! We have 300 days of sunshine in Denver. I also love the culture of getting outside and enjoying the awe-inspiring nature of Colorado. My favorite breakfast is 2 eggs over easy with toast sitting at my kitchen island with my family. 10:00 AM – working with a client to provide information about and clear energy that isn’t serving their highest good. I answer questions about relationships, careers, health, money, and just about anything you can imagine based on images I see. The images are a result of connecting to the energetic or spiritual self of clients. Clients gain understanding about where they might be blocked, falling back on a patterned belief, influenced by someone else in their life, or many other things! I love to cook, so often I am eating leftovers from last nights fabulous meal. 7:00 PM – Reading stories to my children. I firmly believe you are never too old to be read to. I drink one (large) cup of coffee each morning, and then water throughout my day. Being a mile high, water is necessary to stay hydrated. If I’m getting fancy, I drink lemon water. My favorite random app is Moon Plus – you can see the current phase of the moon and when the next phase will happen. I often plan my meditation classes based on the new or full moon energies. Talking to a psychic! It is so incredibly fun, and can open up your world in ways you’d never imagine. I’m a virgo. I don’t enjoy getting lost anywhere. But I do love the amazing opportunities for outdoor adventures in Colorado. The mountains are a place of amazing power and serenity.